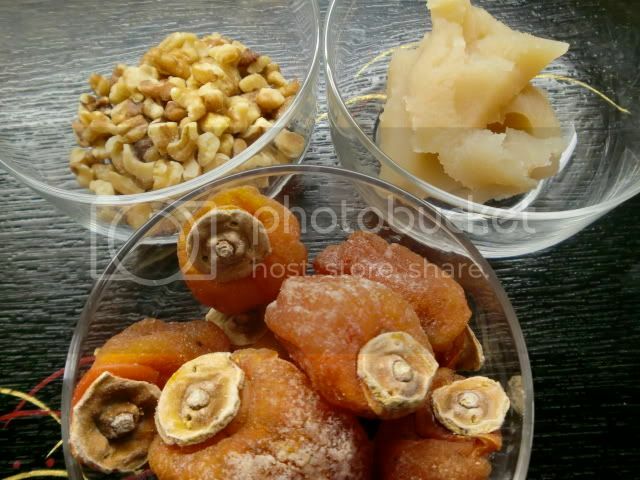 I once suggested this version of stuffed dried persimmons waay, waay back, as a short postscript to a post about dried persimmons stuffed with cream cheese and candied yuzu peel. But since I finally took some photos of the An & Walnuts version, I thought I'd post them to show you how easy and attractive it is. 1. Mix the walnuts and an together. 2. 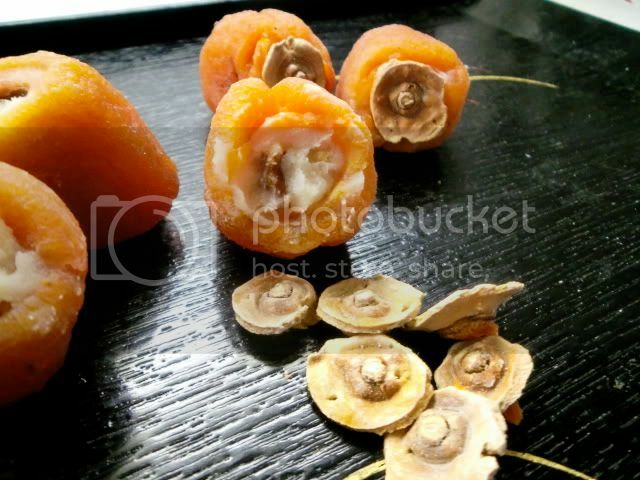 Gently remove the woody caps from each dried persimmon. Use a knife if you need to. 3. 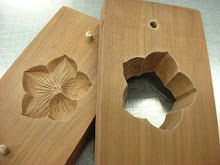 Press a finger through the hole where the cap used to be and gently create a cavity in the persimmon without breaking the outside skin. 4. Stuff the cavity with the an/walnut mixture, little by little till it is full. 5. 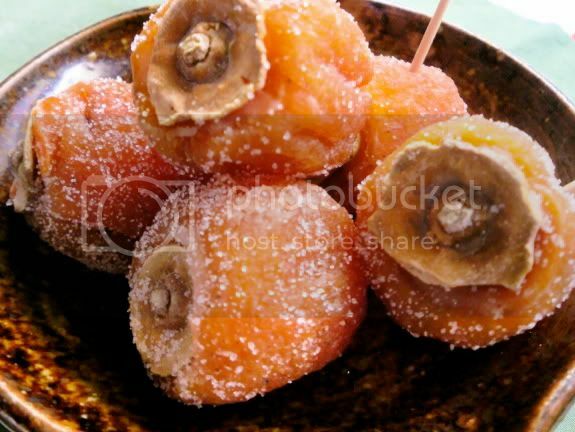 Replace the woody caps over the holes, and dust the stuffed persimmons with granulated sugar. 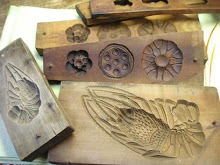 Serve with strong, unsweetened Japanese tea.